2013 was the year of the farmers market for me. I had a spark to explore CSAs in the spring, but I never found a pickup time and location that would work for my unpredictably long work hours. Instead, I found three markets in Manhattan that are perfectly located for my week and one more that is a destination worthy of travel. I explored a lot of amazing local and seasonal produce last year, but it was the first time I’d ever cooked with these four finds. When you’re eating the standard old vine-ripened varieties from the grocery store, it’s easy to forget that tomatoes are fruit. 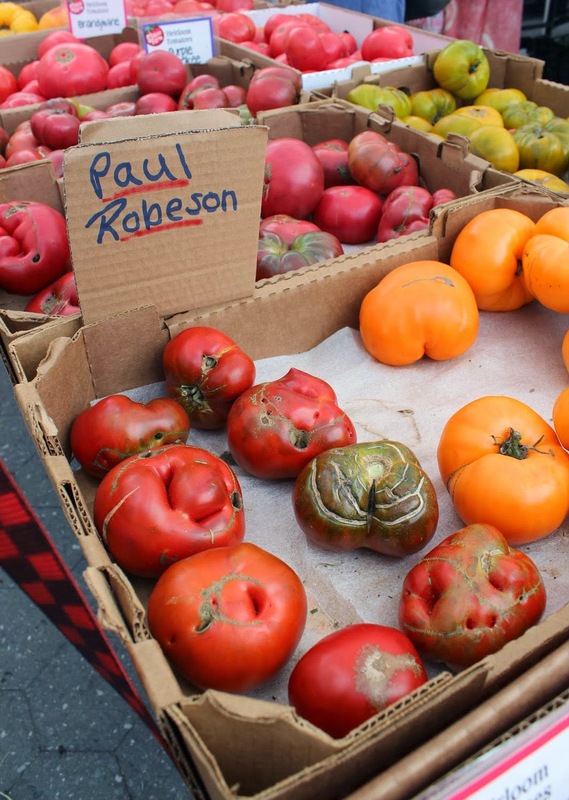 Not the case with these lucious and sweet heirlooms named after singer, actor, football player, lawyer, civil rights activist, and African-American Columbia graduate Paul Robeson. The fruit is dark with purples and greens and perfectly imperfect scabs. When summer rolls around you can use it to make my heirloom tomato frittata or serve it with seared cod and grits, but I have a feeling that once you cut into it you will want it in its purest form. No salt to bring out the flavor required. I’ve already gushed over my discovery that carrot tops are edible. It was really a revelation to discover that this part of the plant I had rarely brought home and had never eaten had some purpose in the kitchen. Seriously, what else am I wasting? The next frontiers are kale stem pesto and watermelon rind pickles (which technically I made, but never ate this summer). There’s more great ideas, like sauteed cauliflower leaves, in this article. Waste not, want not. Turns out purple and white taste the same! I’m so happy that I reconciled my differences with cauliflower a few years ago because cauliflower is now one of my go-to foods – it’s just perfect with a little cumin, salt and pepper, tossed with olive oil and roasted. Maybe a little squeeze of lemon. The meaty texture can make vegetarian and vegan meals feel more substantial when I’m taking a break from my carnivorous ways, even though it’s not a protein replacement. 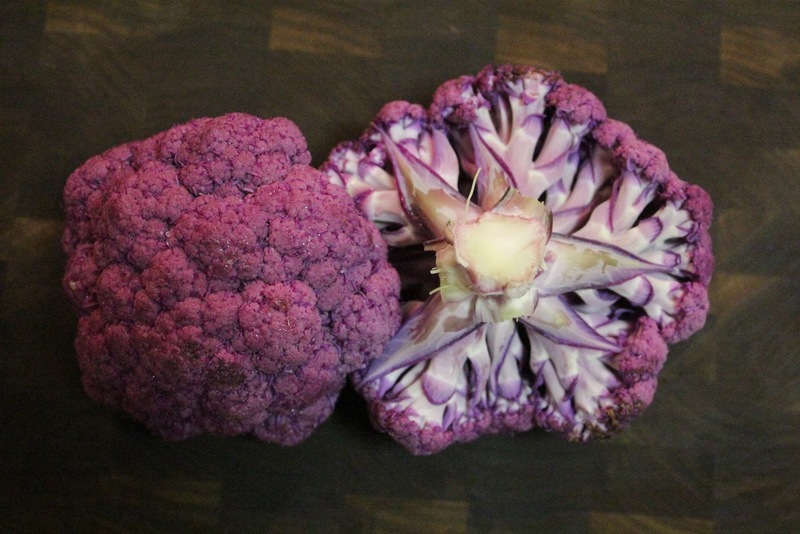 Pick up some purple or orange cauliflower when it’s in season next fall and try it in any white cauliflower dish. You’ll get a pop of color on the plate and an added boost of the antioxidant anthocyanin from the purple variety and extra beta-carotene from the orange. It was the end of the day at Union Square Greenmarket and I was absolutely tired from having power walked 6.5 miles there from my apartment in Harlem. Just as I was leaving I stopped at the north end of the park to pick up some leafy greens and discovered a 3 for $5 sign that included the baby fennel. I love the sweetness when the large bulbs are caramelized, so I decided to play that up by roasting it with nothing but EVOO, salt, pepper and fresh pears. 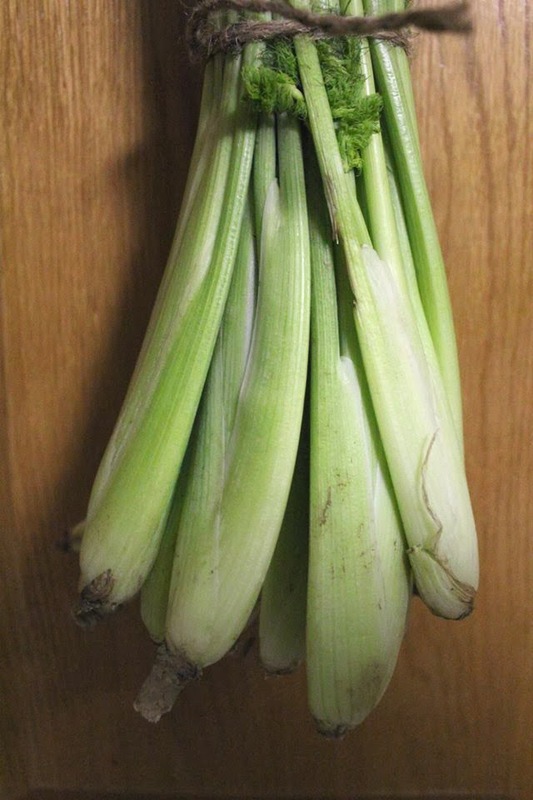 Baby fennel is more tender than the bulbs so you can eat a bit of the stalk, cutting where you feel the knife struggling through toughness. It was the star of one of my favorite pictures from 2013 and I can’t wait to spot it at the farmers market again. Did you discover anything new in 2013? Tell me about it! Can’t wait to try those purple cauliflower in my mom’s cauliflower soup recipe! Thanks for letting me know about this! That’s going to look fun! Share pics?